Stanford University Scientists, in California, successfully preserved cardiac function in rats that they had induced heart attacks when they injected them with a light-activated bacterium. What scientists believe this means for humans is not yet clear, and they remain divided on the issue. Nevertheless, these researchers have made strides in understanding potential methods for protecting hearts from cardiac cell death. A heart attack impedes blood flow into many parts of the heart. Consequently, much of the heart tissue becomes starved of oxygen. As a result, crucial cardiac cells become killed off. Obviously, this has left scientists pondering how to prevent these irreversible cell deaths. Joseph Woo, Cardiologist at Stanford University, first had the novel idea that would lead to the rat experiments. He realized that the fundamental setback cardiologists faced when dealing with heart attack patients were the problem of cardiac cells not receiving oxygen. When pondering how to provide emergency oxygen to these vulnerable cells, he put two and two together realizing that the thing that produces oxygen is plants. Woo wondered if there was a way to bring the oxygenating power of plants to these cardiac cells. Initially, Woo and his team tried applying isolated chloroplasts from kale and spinach. However, he discovered the results to be disappointing, as the chloroplasts found it impossible to survive outside of the plant cells. Nevertheless, his investigations continued. Woo discovered that a bacterium called Synechococcus Elongatus produced oxygen when exposed to light. When he repeated the experiments combining the cardiac cells and the bacterium, he was excited to discover that when he shone light upon them they indeed produced oxygen. He then extended the experiments to rats. After inducing heart attacks in the animals, he injected the bacterium into their hearts. He was delighted to have positive results with the selection of rats that he had exposed their hearts exposed to light during the process of the experiment. In fact, after 45 minutes had passed, the heart’s contractility had improved as did the cardiac output. Not only did the bacterium preserve cardiac cells from death, but the rat’s hearts long-term health was also extremely evident. The bacterium remained active within their hearts for around a day, and there appeared to be no toxic effects reported. 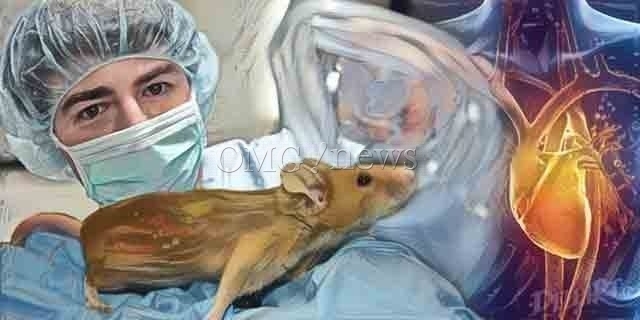 Woo admits that he is unaware of what mechanism with the bodies of the rats removed the bacterium. Nevertheless, clinical trials in humans are not yet a possibility. But as and when researchers undertake further testing and understanding is accomplished, the potential for cures for heart attack are not the only possibility. Scientists also are hopeful this could lead to a cure for peripheral tissue ischemia and stroke.